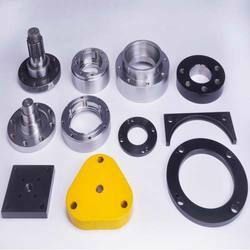 We are one of the renowned organizations known for offering superior quality range of Precision Flanges and Brackets to the press tool manufacturer. We provide Precision Flanges and Brackets to OEM's.Quality steel, bright bars of diameter from 4mm-36mm and other material are procured from some of the trusted vendors of the industry to manufacture these products. Looking for Precision Flanges and Brackets ?